As I contemplated writing this blog in celebration of Luna Yoga's 15 year anniversary I asked myself, "How can I put into words what Luna Yoga means to me and to so many others?" Just like the practice and experience of Yoga itself, it's difficult to describe and is better to be experienced first hand... But I'll do my best! I first came to the studio in 2009 I believe, while I was working at lululemon. A co-worker, Marie-Claire, brought me to Luna Yoga, saying I absolutely had to try a Jivamukti class. (Of course my reaction, as I've since experienced many others have was, "Jiva-what?") I immediately fell in love! Though I lived and worked in Pointe-Claire at the time, I would take public transportation all the way to the Old Port (about an hour commute) every Friday just to take Jenn's noon class. It was on my first yoga retreat with Jenn and Bram that I seriously began contemplating becoming a yoga teacher. I remember speaking to Jenn about it saying, "I think I want to do the Jivamukti training, but I'm not sure if it's because I love Jivamukti, or because I love you!" Jenn encouraged me to practice with Sharon and David, the co-founders of the Jivamukti style, to see if their teachings resonated with me. And of course, they did! It really is thanks to the support of Jenn, Jason and the studio that I made it to Jivamukti training at all. 7:30am donation classes were added to the schedule on Tuesday and Thursday mornings and the proceeds went to a scholarship to help me pay part of my tuition. Jenn read all my required essays before I submitted them. Before I left for the month-long training she reassured me, "You're in a good place in your life for this right now. You're ready!" Her confidence in my capabilities really bolstered my self-esteem. Since the beginning she has always been there cheering me on, supporting my growth as a teacher and as a person. I remember getting back from the training and teaching my first trial class at the studio. Bram was in the class, in order to later give Jenn feedback on how I did. (Talk about nerve-racking!) But as anyone who has ever taught at the studio can attest to, the students were all gracious and encouraging. You can really feel them rooting for you and see them smiling at you, seeing you in the best light! The community that Luna Yoga has brought together is truly one where you can feel the love, right as you step in the door. Since then I've gone on to teach sections of the Luna Yoga Teacher Training, pass the Jivamukti Advanced certification exam, become the studio manager, mentor the Jivamukti training and co-lead my first yoga retreat abroad (something that had been a goal of mine for some time), just to name a few accomplishments that I am proud of! And truly, at the root of all of them, is that Luna love. I am so thankful to Jenn, Jason and the Luna Yoga community, for creating a space that truly feels like a second home to so many. Every day I walk in to the studio I am filled with joy and gratitude. Here's to many, many, many more years of spreading the Luna love! "These are the best yoga studios in Canada"
From Saturday’s spent at the rink, to traversing mountaintops and canoeing wild rapids (not to mention all the shoveling in between), it’s safe to say that Canadians are a pretty active bunch. Hockey’s a given, but did you know that the country is also brimming with yoga fanatics? Justin Trudeau himself is basically a pro (well, unofficially). Google Trends reports that the country with the highest number of people searching Yoga around the world is none other than Canada. And surprisingly, within the country, the most yoga-curious bunch comes from the Yukon! British Columbia, Lululemon’s birthplace, came in a close second to the territory. 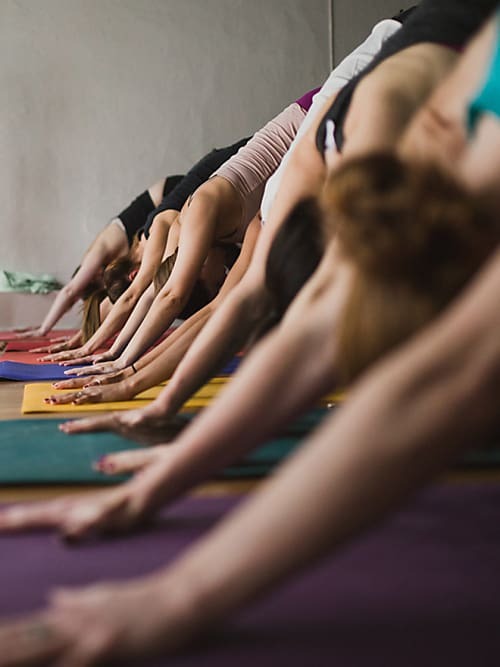 Canadians practice more yoga on a per capita basis than our southern neighbours and coast-to-coast, there seems to be a new studio or class popping up every other day. So, in celebration of International Yoga Day on June 21 (which, fun fact: International Yoga Day was officially declared by the United Nations General Assembly in 2014), we’ve created a Canada-wide map pinpointing the very best studios to get your namaste on across the country. From Whitehorse to St. John’s, Haida Gwaii to Saskatoon, this is where Canadians go to find their zen. 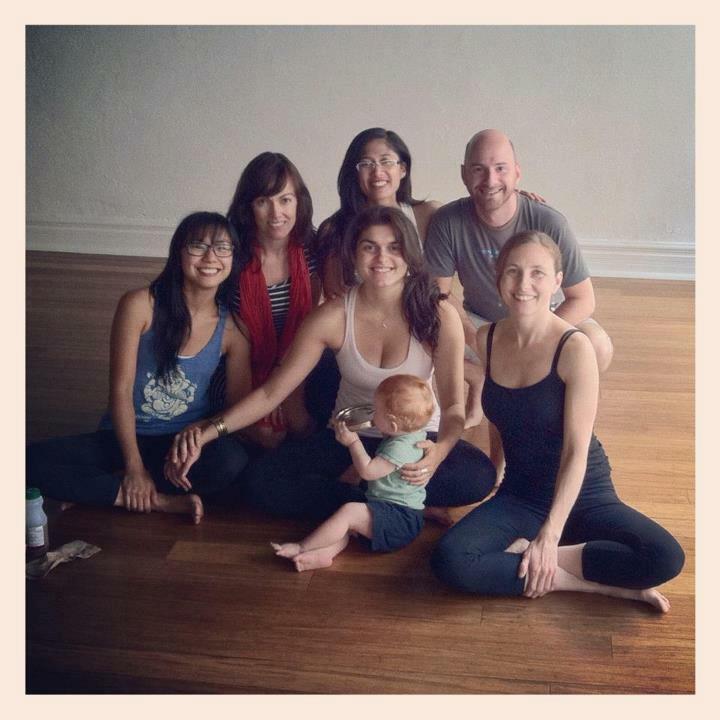 Luna Yoga is a bilingual studio in Montreal, Quebec. 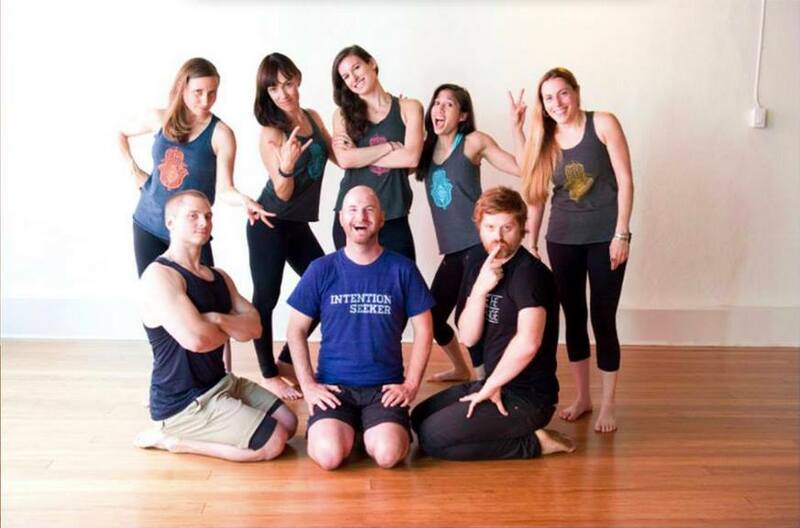 They offer Jivamukti, Vinyasa and a variety of special classes like Yin + Flo, Metta Flo, and Chakra Flo. With only a couple of days left before I get back home from being away, I’m really looking forward to giving the Intro to iRest Yoga Nidra workshop again at Luna Yoga. I studied this form of guided meditation technique because my ultimate goal with my life and my career is to help people heal from their wounds, and I wanted another tool to accomplish that to add to the yoga asana practice, but wanted something that was more accessible than a vinyasa practice, something that anyone could do. And iRest is that. Yoga Nidra is an ancient Hindu and Buddhist guided meditation modality, a meditation format that allows the practitioner to simply follow along with the instructor’s guidance. iRest takes this format one step further by introducing psychotherapeutic elements to the structure similar to Cognitive Behavioural Theory (CBT), as well as the process of witnessing sensations, thoughts and emotions without personalizing them or identifying with them. These elements have roots in Hindu teachings as well, which makes them so perfectly appropriate for the meditation context. iRest Yoga Nidra is basically a 30-35 minute guided meditation that helps with everything from simple relaxing and unwinding, to offering healing tools for those working with Post-Traumatic Stress Disorder (PTSD), anxiety, depression, chemical dependency, infertility, insomnia, and so much more. By showing practitioners how to effectively work with their thoughts and attention, iRest gives them tools that they can use whenever and wherever, regardless of their circumstances or environment, to get past negative thought and behavioural patterns and live happier, more fulfilling lives. Join me on Saturday, June 9 from 2-4pm for this transformational workshop where I’ll go into even greater detail on the lineage of iRest and how it’s making a difference in the lives of so many people, and how it can in yours as well! For more details, or to sign up, click here. Bram Levinson is an author (www.theexaminedlifebook.com, www.ayearinthelight.com), yoga & meditation teacher, blogger and mentor. Based in Montreal, he offers alternative approaches to physical, mental and emotional well-being, promoting healing and spiritual understanding of who we are, why we are here and what this life journey is really all about through group and private classes as well as mentoring sessions, workshops and yoga vacations. He has been on the faculties of multiple conferences, festivals and teacher trainings, and travels throughout the year to bring his teachings to students and teachers around the world. Some of the lovely Lunis who attended my birthday/house warming party, including Andrea! First off, I need to thank the lovely Andrea Rubin, for being the person who introduced me to this recipe in the first place! She brought them to my birthday/housewarming party a couple of years ago and EVERYONE LOVED these cookies... including my boyfriend, who is not a sweets person. I like to heat up one or two cookies in the microwave and eat them with 1-2 scoops of So Delicious vanilla ice cream on top. It's an extra special treat, and it keeps me from eating all the cookies! Wellness should include a little joy now and again and these sinfully delicious energy balls are just that - little balls of bliss. Easy and flexible to what you have on hand, this recipe can be adjusted to whatever size or dietary needs you have. 3 tbs nut/ seed butter - Tahini or almond butter work well! Make balls whichever size you desire, but a simple tsp can be used to scoop out amount and roll into ball. Roll in various ingredients such as coconut flakes, ground nuts, seeds, cocoa, etc - or leave them naked! We really couldn't have asked for any better for our first yoga retreat together... From the beauty of the location, to the easy-going yet efficient running of the Coco Loco Eco-Resort, to the wonderful group of yogis who joined us on this adventure... Francesca and I kept grabbing each other, looking into each others' eyes and saying, "I can't believe this is really happening!" The yoga studio space had a beautiful view of the trees and we could hear the birds and the waves of the ocean in the distance as we practiced. Every morning they laid out a spread of fresh fruits and granola for a light early breakfast as of 5 a.m.; we had the option of catching some waves with the instructors as of 6:30 a.m.; we had morning practice from 8-9 a.m. and then a more substantial (and very delicious) breakfast after class. We had various activity options for the rest of the day throughout the week: Stand Up Paddle boarding, kayaking, chocolate-making, salsa dancing... We also had the option of getting pampered with a good, strong massage after all the yoga, surfing and all-around adventuring! Lunch was at 2 p.m. most days, evening practice around 5:30 p.m., just as the sun was setting, and a delectable dinner was served right afterwards which always included a sweet, refreshing treat for dessert! We dedicated one afternoon mid-week to volunteer for Waves of Hope, a charitable organization that the owners of Coco Loco (Earl and Jamie) created to get involved in and to support the surrounding community. It was such a heartwarming and humbling experience to be able to spend an afternoon re-painting an elementary school classroom and making cement to apply to the back of the schoolhouse. The location of Coco Loco itself was of picturesque perfection! There were plenty of hammocks all along the grounds for us to relax and read a book, or sip on a margarita; there were lounge chairs by the beach for us to enjoy the sound of the waves while catching some sun rays; there was a lovely pool space area to cool off with a nice dip in the water; and there was a welcoming dining hall/lounging space where we could sit with a cool drink and grab a light snack while journalling or sending a quick message home. And the beautiful sunset... We began the week by congregating on the beach the first night after dinner to watch the sunset and we ended the week with a walking meditation on the beach to watch the sun go down before our evening class. Francesca and I would like to thank all the yogis who shared this wonderful experience with us and the entire Luna Yoga family for their support. We extend our sincerest gratitude especially to Jenn, for creating Luna Yoga to begin with, and for giving us the opportunity to host the most magical retreat for our community. Thinking of what to do this Earth Day? Make this Sunday earth-friendly with these great activities to celebrate our beautiful planet. Prepping for the work week ahead? Check out Lunch-a-Porter for great reusable lunch packaging ideas and options. Going shopping? Buy local, Eco-friendly products. Luna’s Boutique is filled with Canadian-made, organic and Eco-friendly products. Support our local farms. Lufa Farms will be celebrating Earth Day with an Open House Event. Going for a walk? Pick up and recycle any debris you find along the way.